Mammaprada has been running for a year now! I'm really enjoying the journey it's going through and how many lovely people are now reading the blog and our social channels regualrly. I'm trying to always be honest with you all and let you know when life is not Instagram perfect! I'm a mum doing this all myself after all, how would I make people feel if it looked like I just flit off to Lake Como all the time? I think it's important that you all also know that I'm also mopping the kitchen floor and up at night fending off monsters under the beds! I want us to know each other and build a community. I'm delighted to find such a friendly supportive community online. The opposite of what people tell you about the internet! With that in mind, I have in a moment of possibly sheer madness created TWO Facebook groups! I know, what am I thinking, right? However I know I have at least two quite different audiences and I don't want anyone to be left out! Because of this the group will have English posts and a few with Italian. Please do not be put off by the Italian ones! This is by no means an Italian group, any language combination is welcome! 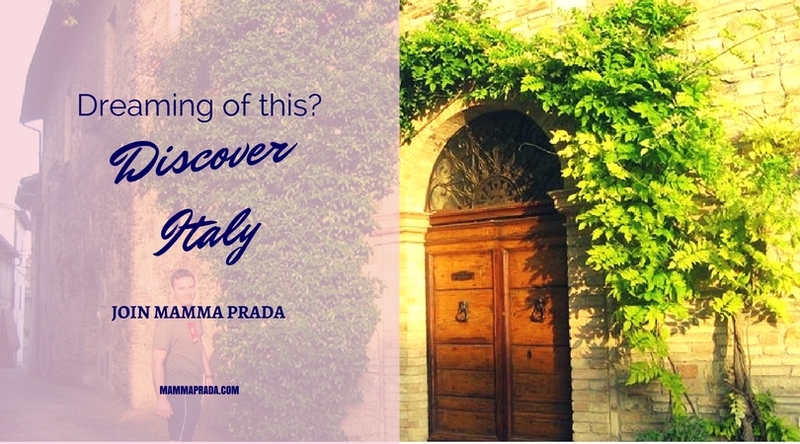 I know there are those of you who follow Mammaprada who have no intention of learning a language and just LOVE ITALY! In this group you will find information, chat, articles and fun about all aspects of Italian culture. This is not a group about Italian-American culture which is quite different. So there will be times when something is posted as being Italian and I might have to step in and say that actually it's more Italian-American. This is not because this is not also a very valued culture, some of the most passionate people fall into this group! But I am trying to educate people about Italian culture. So no offense should be taken. Anyone who loves Italy can join this group. You don't have to have a connection to Italy. If you do have a connection to Italy, great! If you write about Italy or Italian food/travel and would like to share your content there will be specific days when you can share links to your work. Obviously across all groups everyone needs to be nice and behave like adults. No abusive behaviour will be tolerated. So that's all from me. I hope you will join one or both groups and chat to myself and my Husband Graziano who has been dragged into being an admin to help with the extra potential work I have created! LOL! I really hope we can all have lots of fun with this and you will find it valuable!